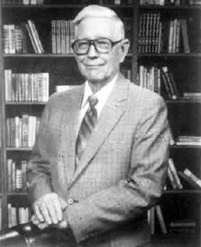 Well-known as a Bible scholar and outstanding preacher and teacher, Franklin Camp helped hundreds grow in Bible knowledge. "The Bible - The Revelation of Redemption" classes take the listener on a journey from Genesis to Revelation to see how God unfolded the theme of redemption. Each book of the Bible is available separately or you can purchase the collection(s) to get the whole class! Camp's Preacher's Classes were taught for over 30 years. Only a few were recorded; they are available separately or as a collection. A series of lessons tying New Testament quotations to Old Testament Scriptures is bundled with two sermon collections. Each is available separately or as a collection. The digital versions were created from cassette recordings made in the 1970s and '80s. Special thanks to the Adamsville Church of Christ and Tracie Sanford for all the work in making these available. After check-out, you will receive one or more pdf files with links and instructions. Please read and respect the generous license. Get Camp's description of the theme of redemption found in each book of the Old Testament FREE with the purchase of the Old Testament Collection. Get Camp's description of the theme of redemption found in each book of the New Testament FREE with the purchase of the New Testament Collection. Get extra audio lessons on Romans 2-6 FREE with the purchase of the Preacher's Classes.